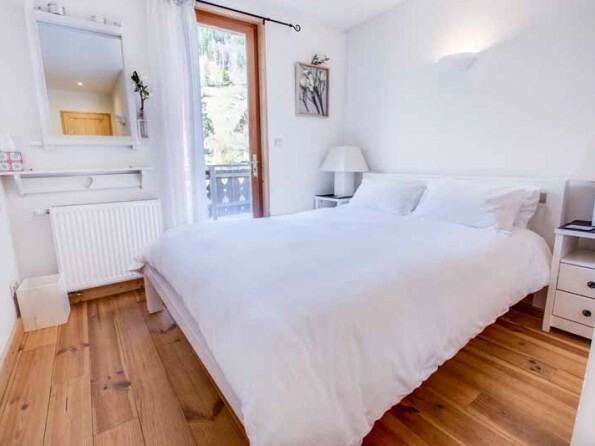 Set in the heart of Morzine just yards from the main ski lifts and runs, this elegantly stylish chalet offers luxurious yet homely interiors, a gorgeous outdoor hot tub and a completely unbeatable location. What more could you possibly desire? 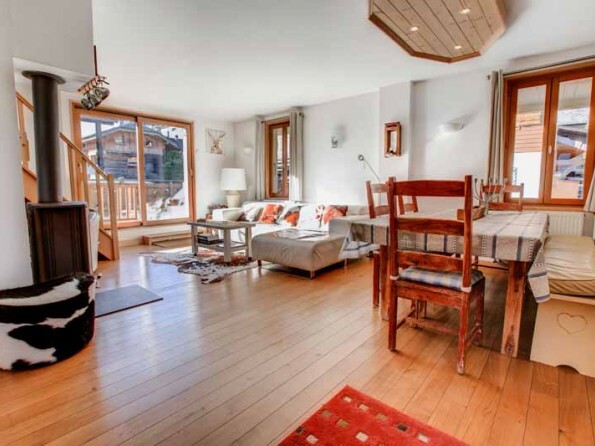 Where Chalet Coeur de Morzine is concerned, the clue is very much in the title - it is literally right in the middle of the action! Inside, traditional wood and stone combine with white walls and a contemporary décor to create a cosy and timeless space. 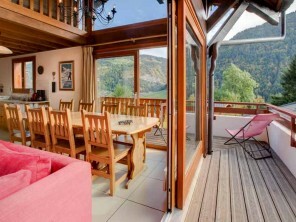 Outside, the terraces and balconies provide breathtaking views of the snowy mountains (and let’s not forget the hot tub). And a stone’s throw away you will find the Pleney lift, the tourist office and the village square. 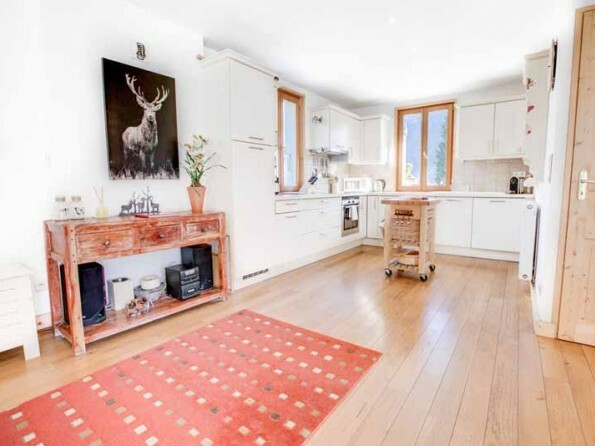 This would make an unforgettable setting for a family holiday or a celebration with friends. 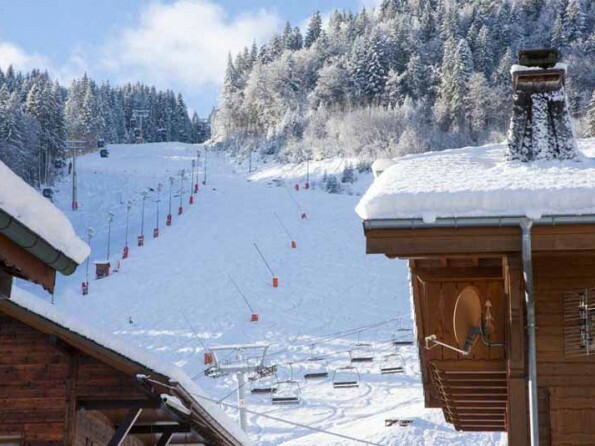 The Pleney ski lift is literally 90 metres from the chalet, the Super Morzine lift is also just a 2-3 minute walk, and on your doorstep you will find the bars, cafes, restaurants and boutiques of the village centre. 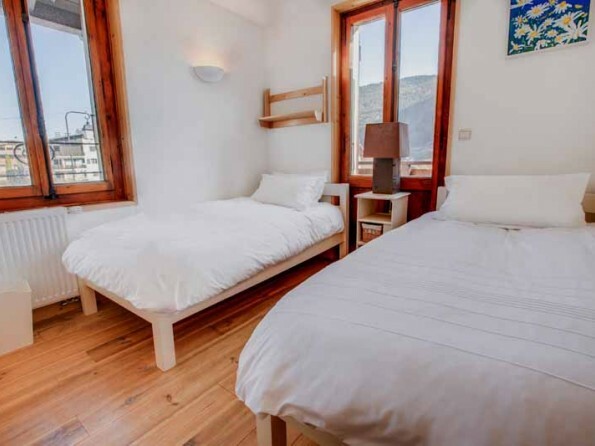 And in addition to skiing there are countless other activities on offer, whatever the weather, from walking, biking, climbing and horse riding to golf, paragliding, kayaking and white water rafting. 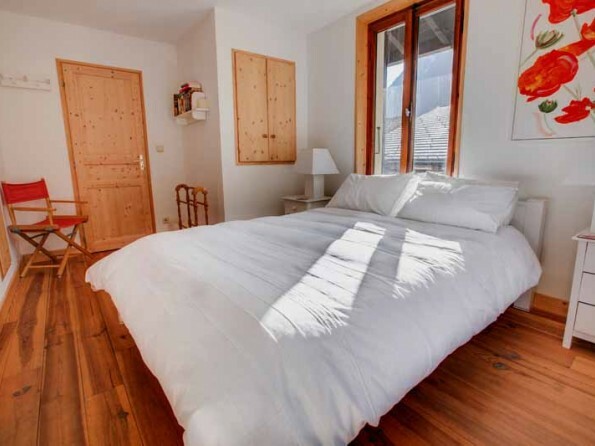 Geneva is the nearest airport and transfers can be provided. 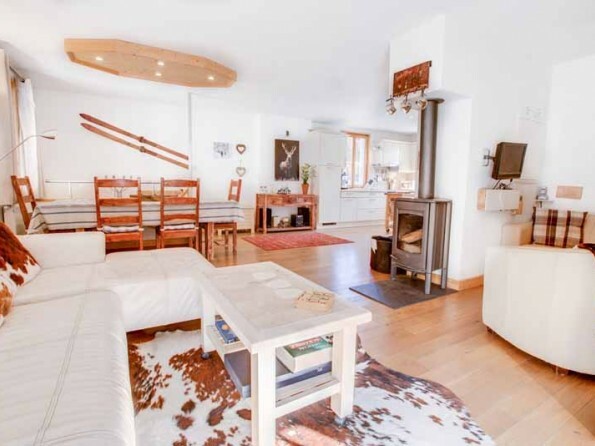 The heartbeat of the chalet is the open plan lounge/diner/kitchen on the upper ground floor - it is a bright and sociable space with a dining table, two seating areas, a flat screen TV, a log burner, a modern kitchen and patio doors that lead out to the terrace. 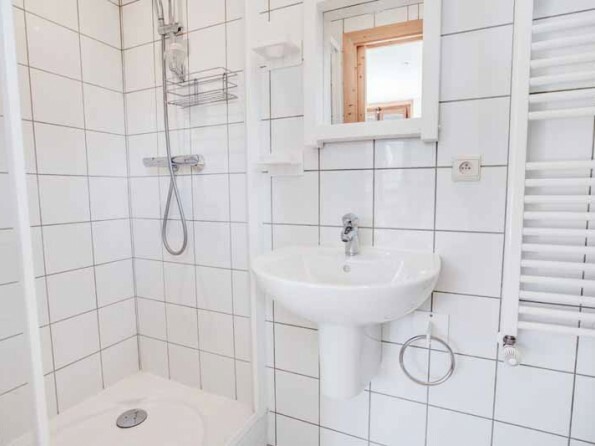 There is one en-suite bedroom on this floor (as well as a communal toilet) and on the first floor there are four further en-suite bedrooms, all of which open out onto another balcony. At lower ground level there is a boot/ski/drying room. 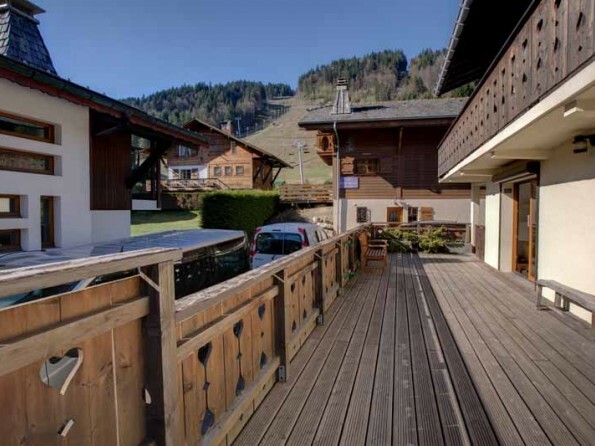 Outside the main living area there is a large terrace which spans the whole length of the chalet and offers views towards the Pleney slopes, and on the first floor there is another balcony with a private spa hot tub. 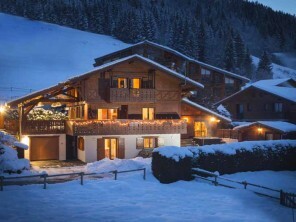 The chalet has 2 staff who live out. 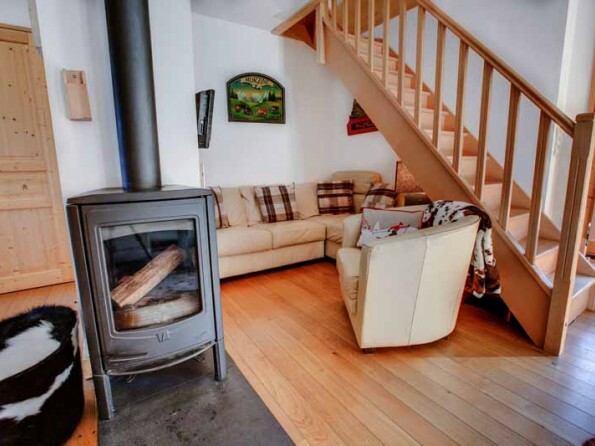 Bookings normally run from Saturday to Saturday but short breaks may be available.